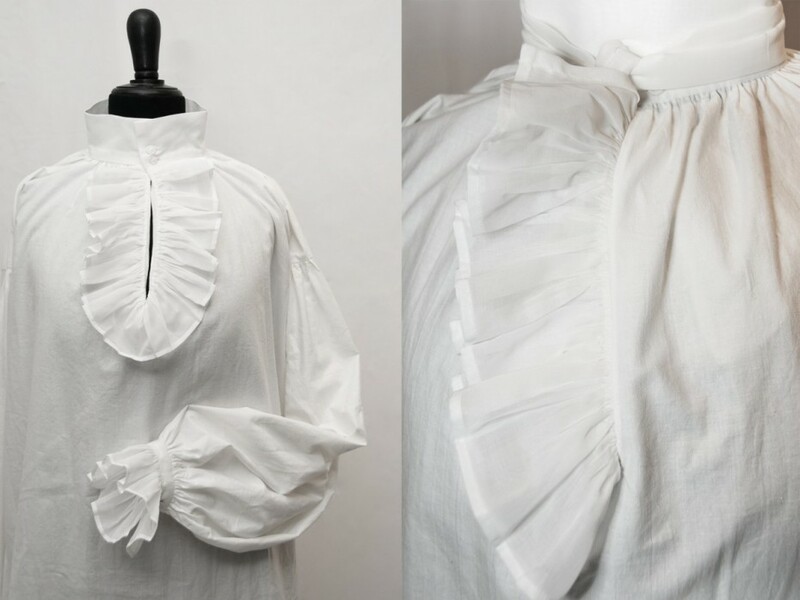 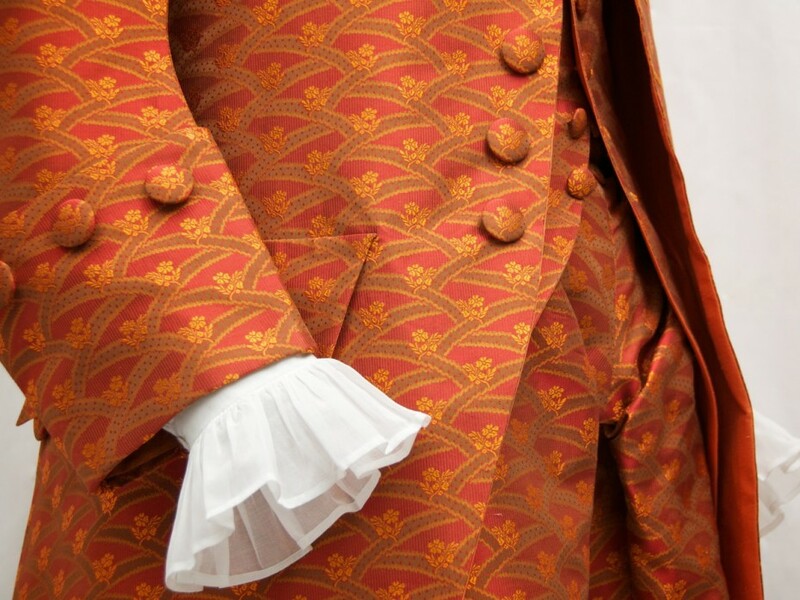 A Grand Habit from around 1760, consisting of a fine cotton shirt (quite a luxury item for that time), breeches, waistcoat and a Justaucorps, which at this time gradually mutates into a stylish Fraque, now sporting a standing collar and rather tight fitting sleeves, less pleats in the back and more cutaway in the front. 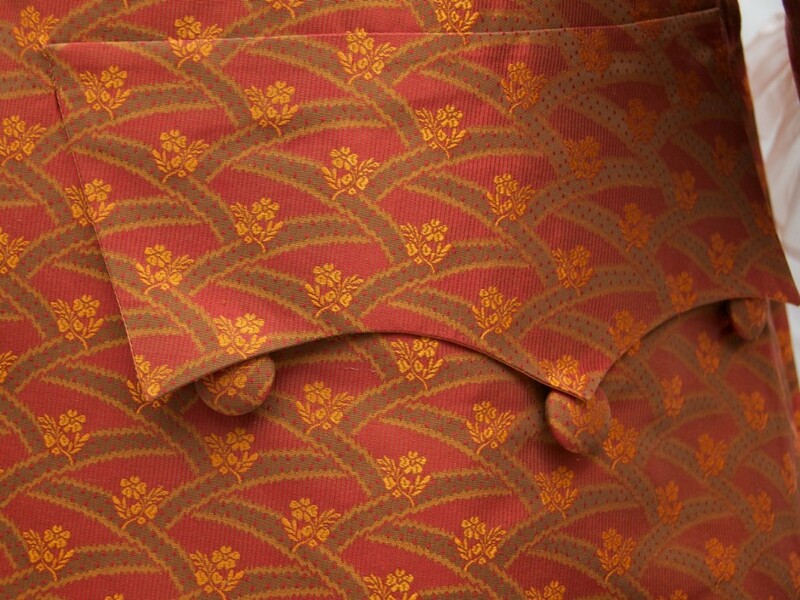 The silk used here is a reproduction of original material exhibited at the Nordiska Museet in Stockholm, produced by Durán Textiles of Sweden (for further reading please go here). 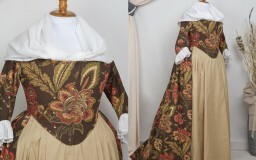 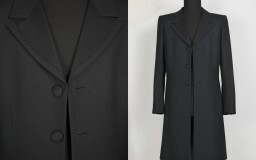 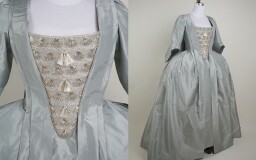 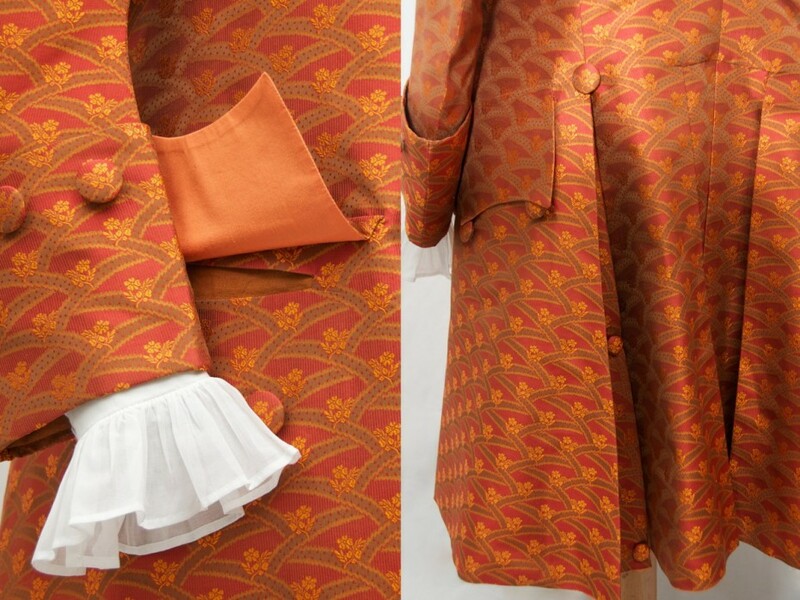 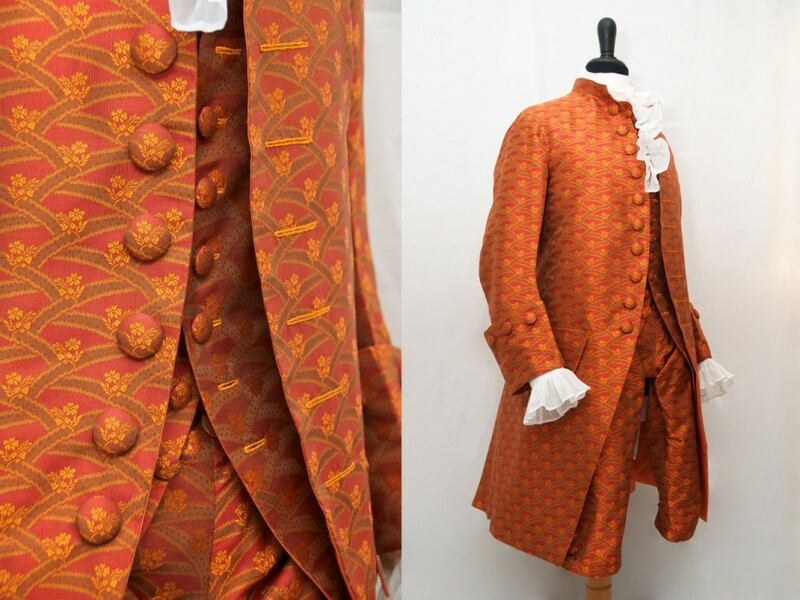 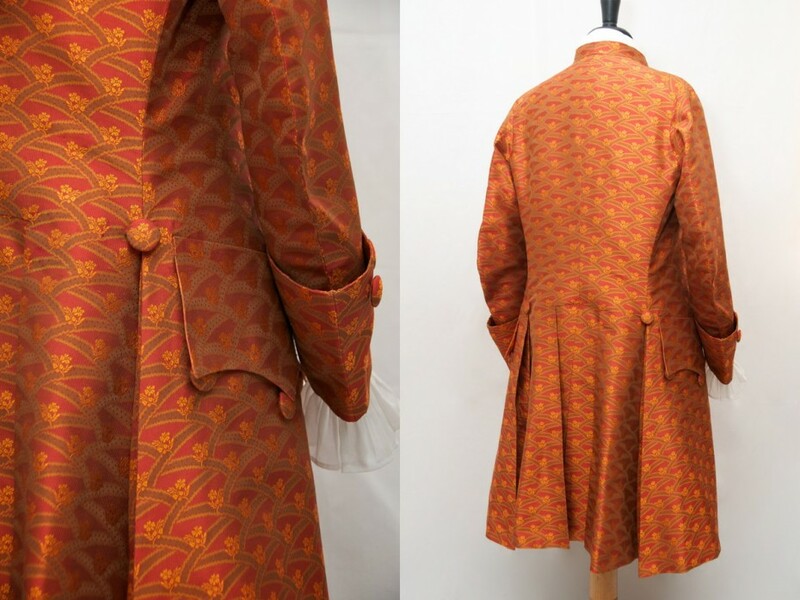 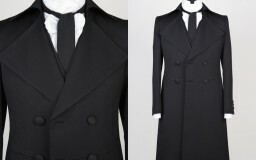 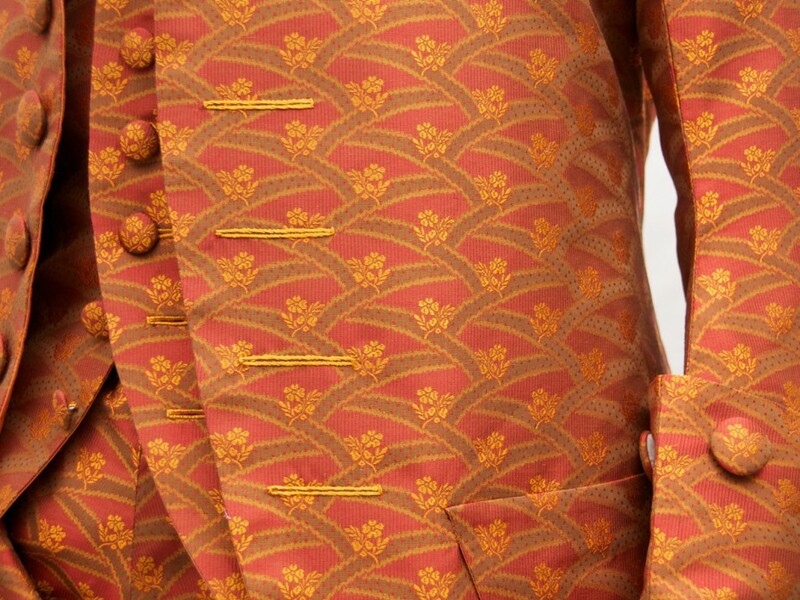 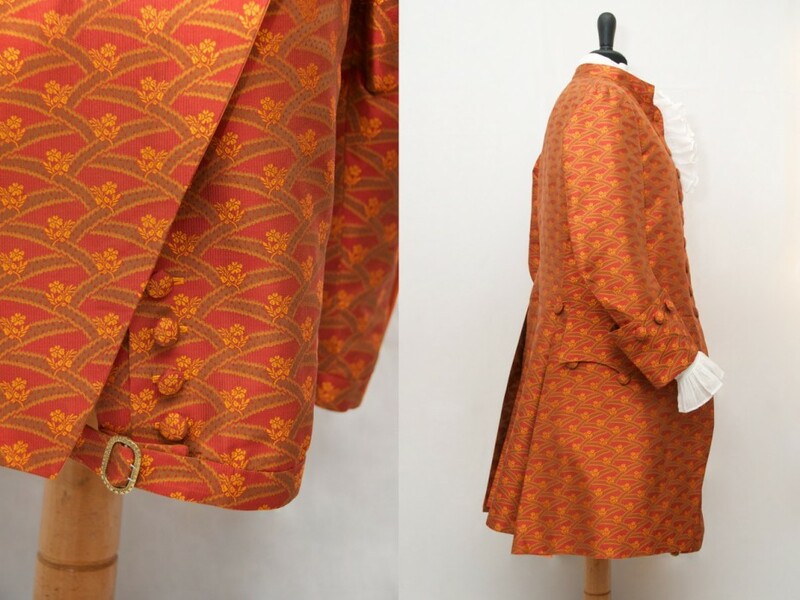 The used pattern is based on several existing suits from the 1760ies.